Rising Galway singer Ultan Conlon will pay a headline Dublin concert at Whelan’s on Saturday April 28th to launch his new album of songs ‘Last Days of The Night Owl’ which was recorded and mixed in Nashville TN by the Grammy award winning engineer Collin Dupuis who has worked with The Black Keys, Lana Del Ray and Dr. John. Ultan Conlon has spent most of the past year recording and gigging in Nashville, TN and Los Angeles where he played the Viper Room and the Largo club, sharing the stage with Jackson Browne, Shelby Lynne and Sara Watkins from Nickel Creek. 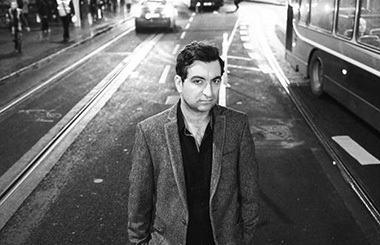 Hot Press has described Ultan Conlon as ‘a real talent at work with a distinctive fragile voice’. The first single ‘A Weak Heart Like Mine’ from Ultan Conlon’s new album will be released on March 9 with the album ‘Last Days of the Night Owl’ released on April 6. Five songs from Ultan Conlon’s last album ’Songs of Love So Cruel’ were included in the award winning film ’Songs for Amy’ which starred Sean Maguire and was released in 2014. Having just finished a nine date Irish tour with Eddie Reader, Ultan Conlon will play six UK shows in April including gigs at Liverpool Philharmonic and Norwich Arts Centre as special guest of Mary Coughlan who along with John Martyn has recorded Ultan’s songs.